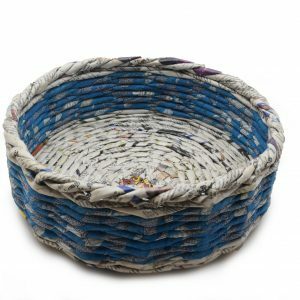 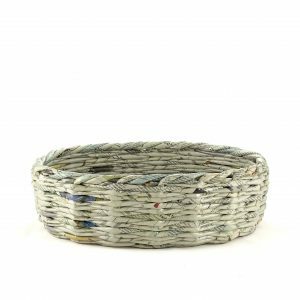 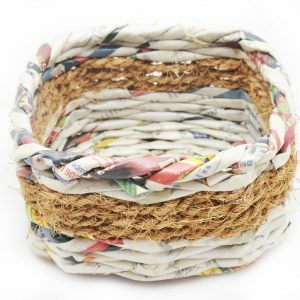 This mixed media basket uses layers of sari cloth in between weaved newspaper, upcycled to create a beautiful sturdy round basket which can be used at home – in the living room and kitchen. 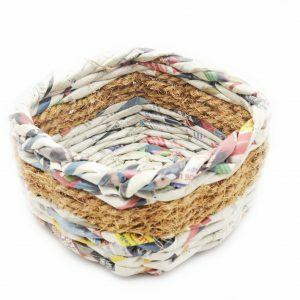 This version of oval basket is equipped with a handle to easily carry around items like fruits, accessories and other items at items. 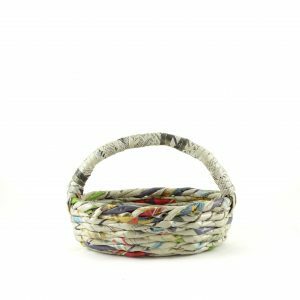 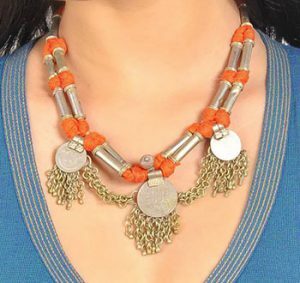 It also is a great travel companion, perfect for picnics and outdoor lunches. 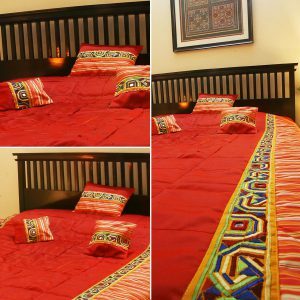 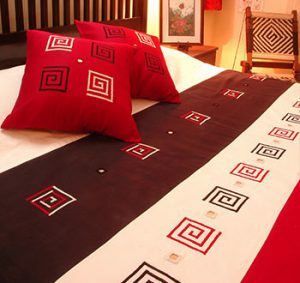 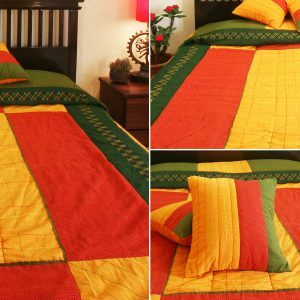 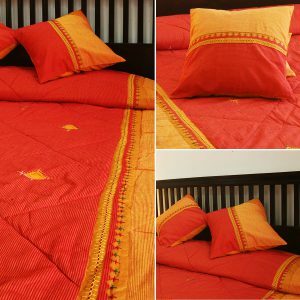 Eco-friendly and uses chemical-free colours.